Rabri Devi was unhappy over Tej Pratap's reported statement that he won't return home until his parents approved of his decision to divorce, a party leader said. 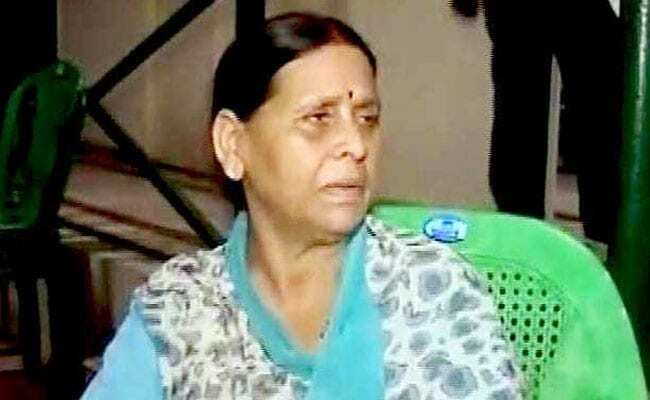 Former Bihar Chief Minister Rabri Devi, upset over elder son Tej Pratap's planned divorce from his wife, and his threat that he won't return home unless his parents supported his decision, will not celebrate Chhath Puja this year. "Rabri Devi will not celebrate Chhath this year because the family is worried over Tej Pratap's absence from Patna for the last one week," Bhola Yadav, a Rashtriya Janata Dal legislator considered close to party chief Lalu Prasad's family, said here on Saturday. Bhola Yadav told IANS that Rabri Devi was unhappy over Tej Pratap's reported statement that he won't return home until his parents approved of his decision to divorce. "In such a situation, Rabri Devi will not celebrate Chhath," he said. Tej Pratap filed for divorce in a Patna civil court on November 2 citing 'mental cruelty'. With Rabri's decision not to celebrate Chhath -- Bihar's most popular festival -- people will miss a rare festivity at her sprawling official bungalow 10, Circular Road. Last year, Rabri Devi had said she would celebrate Chhath only after her two sons -- Tej Pratap Yadav and Tejashwi Yadav -- got married. Tejashwi Yadav, the current Leader of Opposition and a former deputy Chief Minister, is the heir apparent of the RJD. The four-day Chhath starts on Monday with the 'Nahai-Khai' ritual. Devotees, mostly married women, will throng river banks early in the morning for a ritualistic bath, before preparing the traditional meal of boiled rice and pumpkin. RJD leaders said that Rabri Devi's Chhath celebration is popular as politicians, irrespective of party affiliation, and people from all faiths and communities visited for the traditional 'prasad' during the festival. "Till 2016, Rabri Devi, helped by Lalu himself, used to draw a large number of people during Chhath, but this year they will miss it," an RJD leader said. The 'Nahai-Khai' will be followed by 'Kharna', when 'Kheer' will be cooked and distributed among neighbours, friends and relatives.